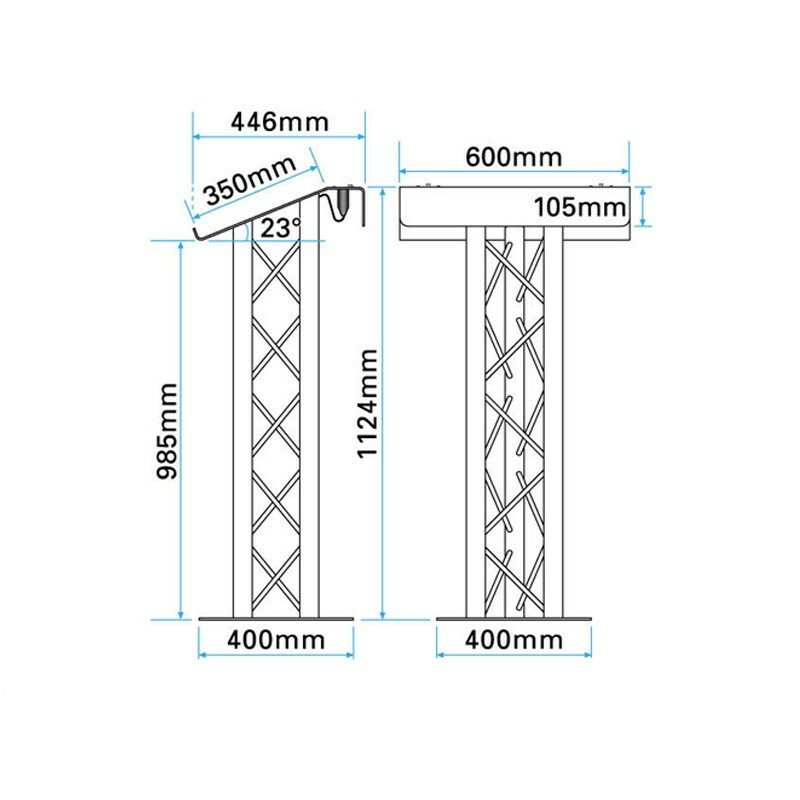 AV Upgrade - adds 2 microphone sockets (3-pin XLR) and a 5w reading light (12v power required). 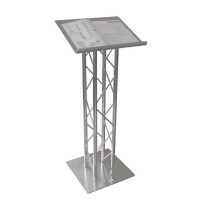 This stylish metal truss podium is rigid and strong, and is designed to be noticed. 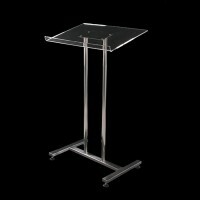 This lectern has a wide range of uses, and can be effective in a conference room or on a stage. 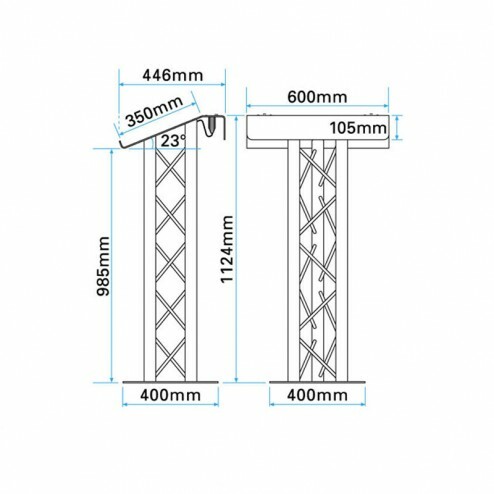 This truss has been designed with stability and support in mind, and is also extremely pleasing to the eye! This particular metal truss podium has been manufactured from natural aluminium, and we offer our customers the option of purchasing the truss podium in a powder coat finish. 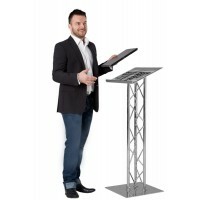 Reading notes from this podium is easy thanks to the conveniently angled literature holder – there’s also a lip in place to prevent notes or other printed materials from slipping off the stand. 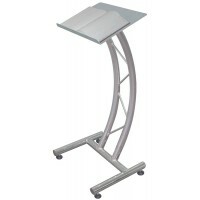 It even features a cable management system, enabling you to integrate technology into your presentation or speech! 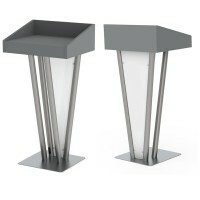 This podium stands at an impressive 1124mm tall, with a literature area of 600mm x 350mm. 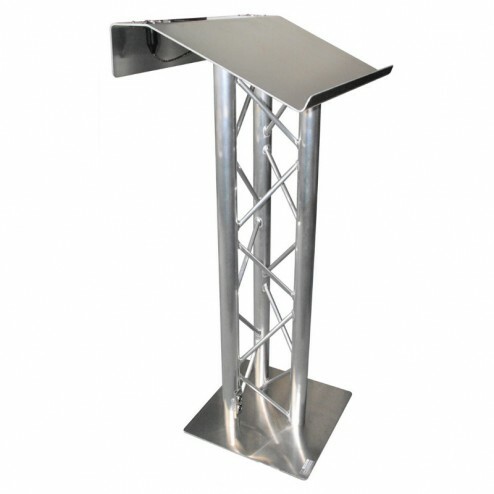 If you require a metal truss podium that incorporates style and functionality, this is the stand that you’re looking for!